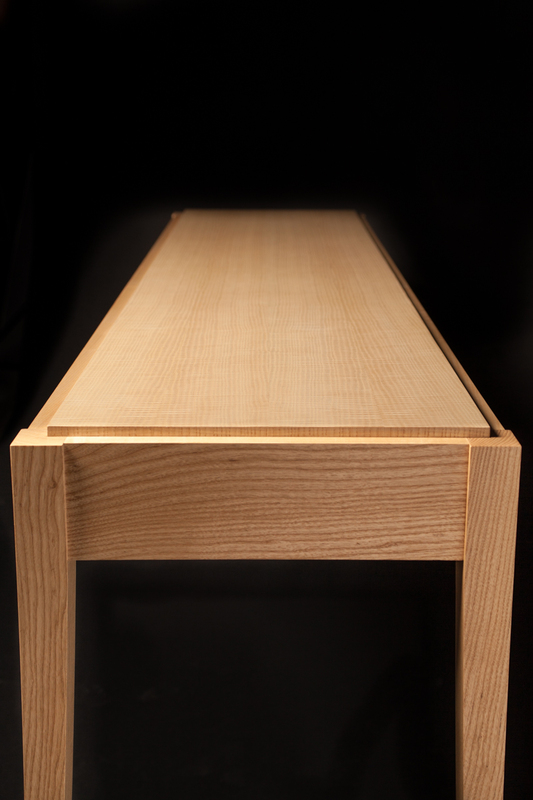 Crisp lines and stunning grain patterns create a beautiful console for hallway, dining or living room. 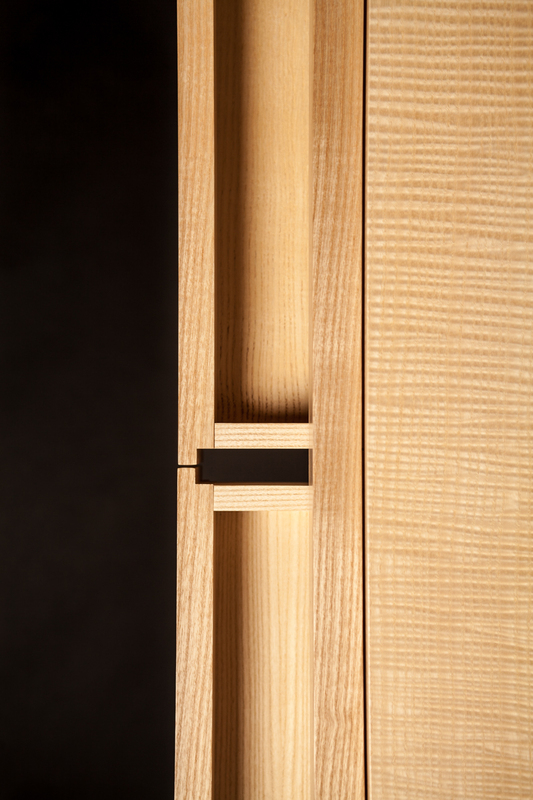 Raised inset top highlights stunning book matched figured ash veneers. 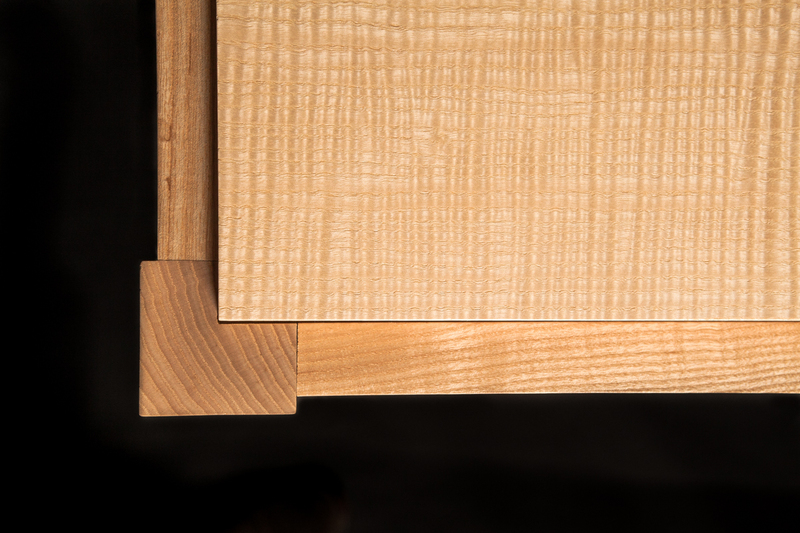 Quarter sawn solid white ash grain creates continuous crisp horizontal lines around the console. 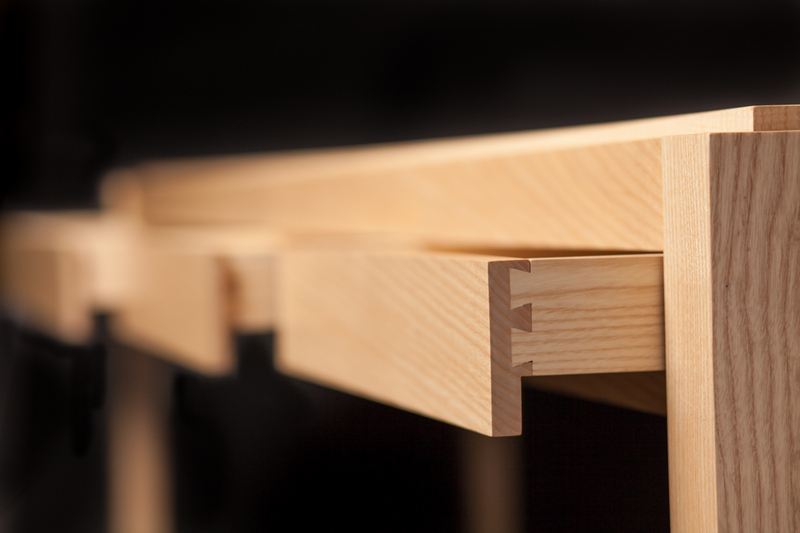 Rift sawn solid white ash legs taper to accentuate a light feel. 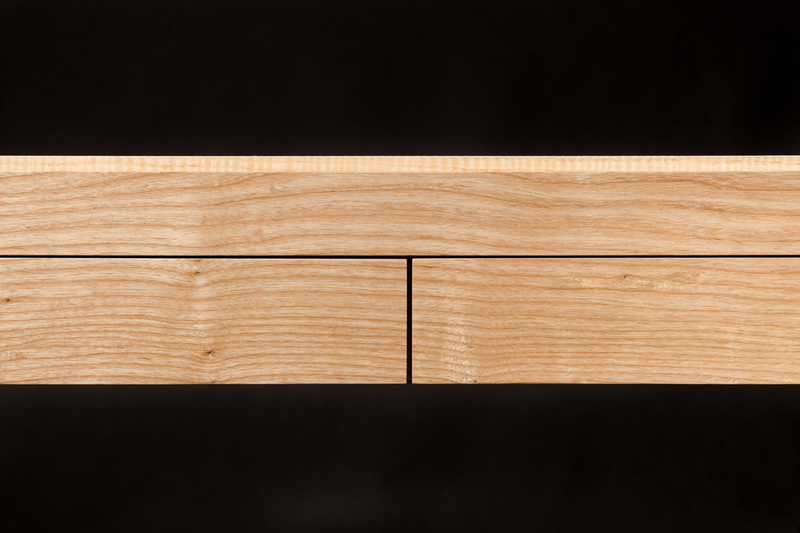 Dovetail drawer construction and custom ash wood runners allow effortless glide motion. Satin lacquer finish with fine wax top coat.